Yesterday’s news that Hikaru Sulu is gay in Star Trek Beyond was met with an unexpectedly displeased response from George Takei, the man the move was supposed to honor. In an interview with The Hollywood Reporter, Takei said the development was “unfortunate,” calling it a “twisting of Gene [Roddenberry]’s creation” and saying that he encouraged those involved to “create a new character” who is gay instead. 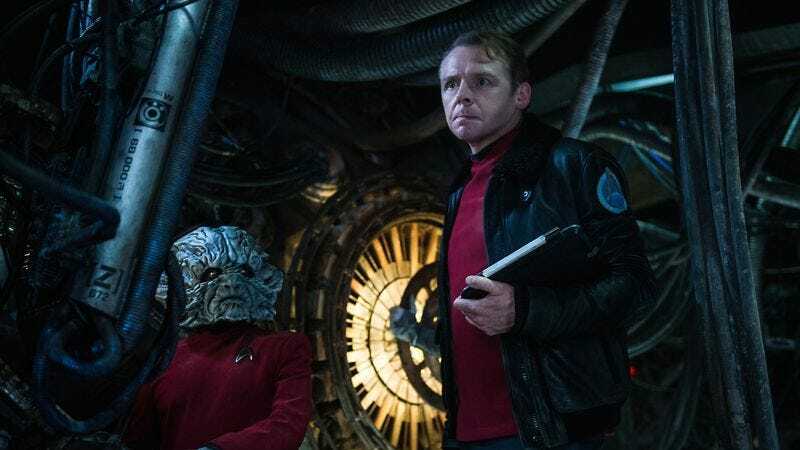 Now Simon Pegg, who plays Scotty in the rebooted franchise and wrote the most recent film, has issued a response in which he says he “must respectfully disagree” with Takei. We could have introduced a new gay character but he or she would have been primarily defined by their sexuality, seen as the ‘gay character,’ rather than simply for who they are and isn’t that tokenism? Justin Lin, Doug Jung, and I loved the idea of it being someone we already knew because the audience have a pre-existing opinion of that character as a human being, unaffected by any prejudice. Their sexual orientation is just one of many personal aspects, not the defining characteristic. Also, the audience would infer that there has been an LGBT presence in the TrekUniverse from the beginning (at least in the Kelvin timeline), that a gay hero isn’t something new or strange. It’s also important to note that at no point do we suggest that our Sulu was ever closeted, why would he need to be? It’s just hasn’t come up before. Both Pegg and Quinto also brought up the fact that their movies take place in a timeline that separates them from the original series. (Messing with Roddenberry’s vision? Been there, done that.) This all adds up to the rare situation where everyone’s heart seems to be in the right place. It’s too bad this has now been branded a “controversy,” given how cool and necessary having a out gay character in a major sci-fi franchise really is.